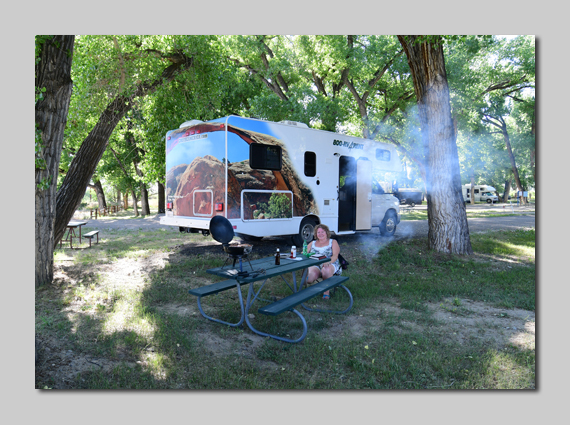 Then east toward Rangely where we found a lovely little city park campground down by the White river. Unfortunately there were no sites with electricity left so we couldn't use the air con …. And boy did we need it! Sat outside eating our meal we were plagued with mosquitoes but it was too hot to go in and too hot to sleep. I spent an hour sat inside the mozzy screen door on the step with a cold flannel on my neck before it eventually cooled down a bit and we could get to sleep. Saw an Oriole but it was only a fleeting view so couldn't get a true ID. 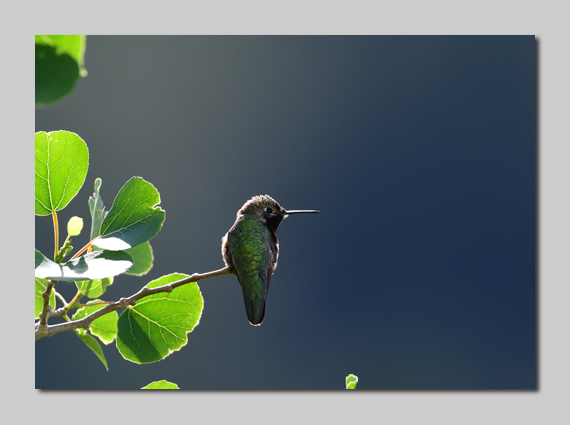 Also had our first Hummingbird, The Black-chinned I think. 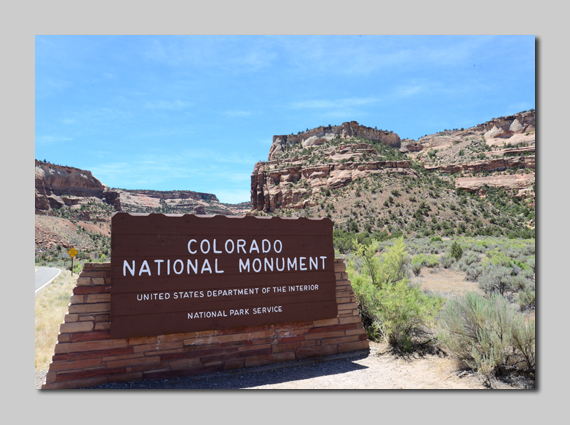 We'd been here some 20 years ago with the children and wanted to go to the Colorado National Monument and Arches National Park again as we have a few days spare before we fly home on Thursday. Got lucky at the Grand Junction KOA (Kampground of America) as despite it saying it was full I went in and asked if there'd been any cancellations and lo and behold a free space with water and electricity hook-ups. So booked it for 2 nights. The people I met were very friendly and willing to explain all the rules of the game. 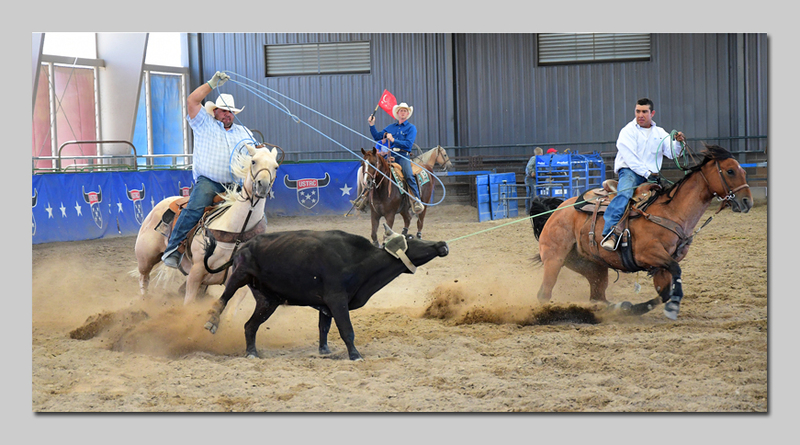 Seems the steer needs to be lassoed around the horns by one cowboy and around the back legs by the second rider. It was all over in less than a minute and I reckon the steers were winning when I left. I find it difficult to see why this isn't more widely known, it has spectacular rock canyons and cliffs that you drive though for 23 miles. Some hairy bends with no crash barriers and a speed limit of 20 mph most of the way. Saw a couple of big lizards, a peregrine and a couple of red tailed hawks but most wildlife seemed to be sticking to the shade as the temperatures were up in the high 90's. 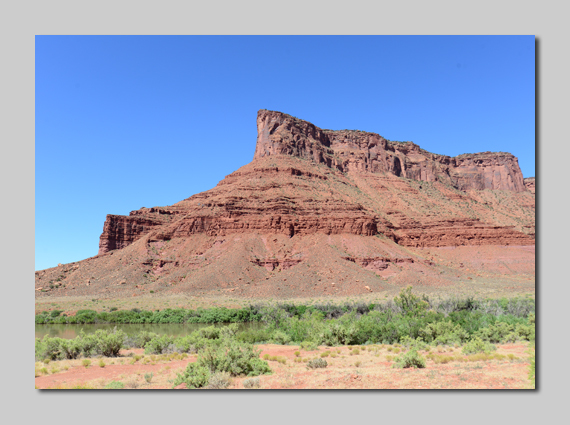 We left Grand Junction this morning and travelled about 60 miles west into Utah. 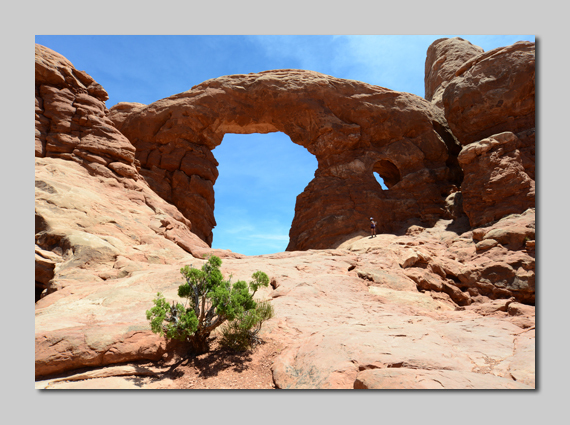 The plan was to visit Arches National Park where we'd been with our children about 20 years ago. 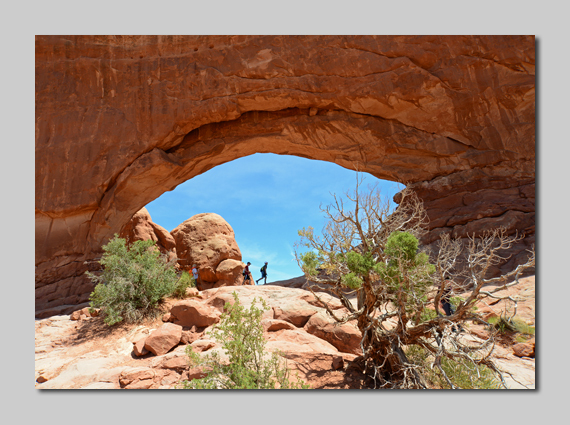 I have fond memories of the place and was not disappointed today…. It was awesome! 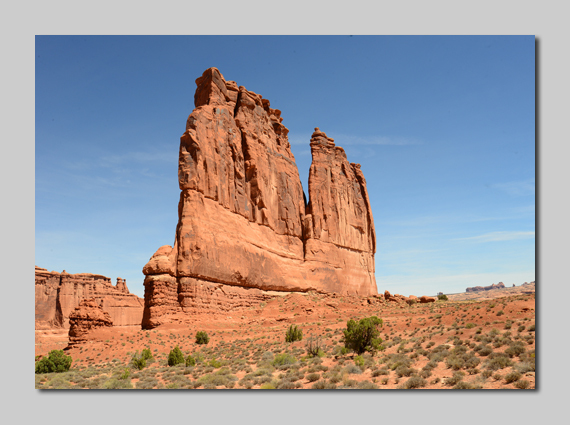 I guess to some it's just a pile of rocks but to us it is one of the most fantastic landscapes on earth! It was like entering Jurassic Park without the dinosaurs although they were here many years ago with fossils having been found all around this region. 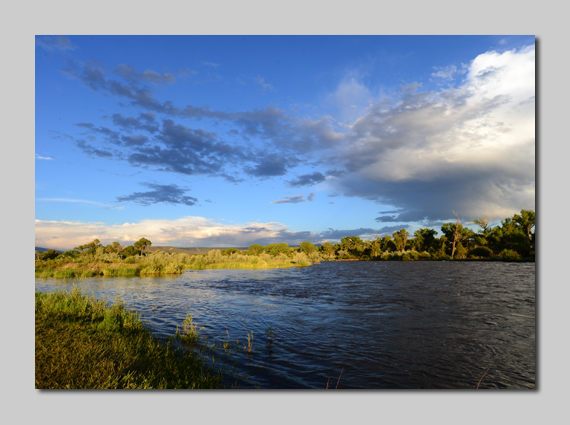 Photographs can only give you a small hint of what it is like…. If you have a bucket list this needs to be on it!!! Now booked in at the KOA at Moab and sheltering behind the curtains and the air con from the fierce heat of the Utah desert, well into the 90's plus today. 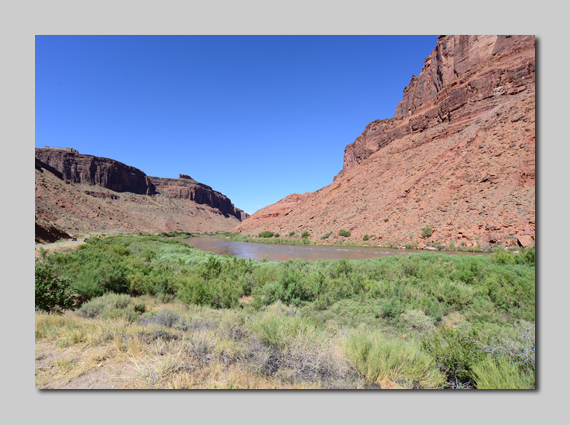 We left Moab and headed North – East back toward Denver but this time took the US128 highway which runs parallel to the Colorado river through the Castle Valley canyon area. 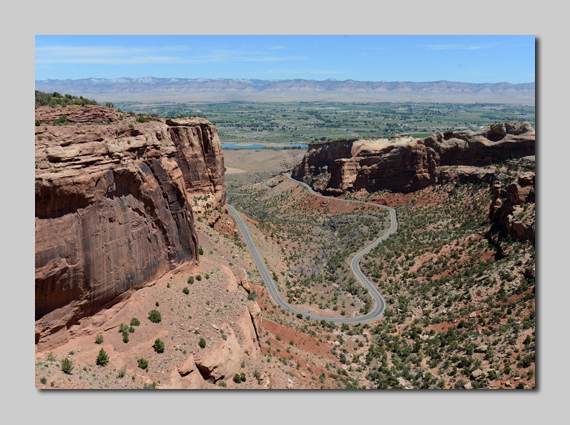 Noted as one of the top ten scenic drives in the whole of the US it didn't disappoint. We had been down this road years ago and knew it was good but I didn't remember how good. 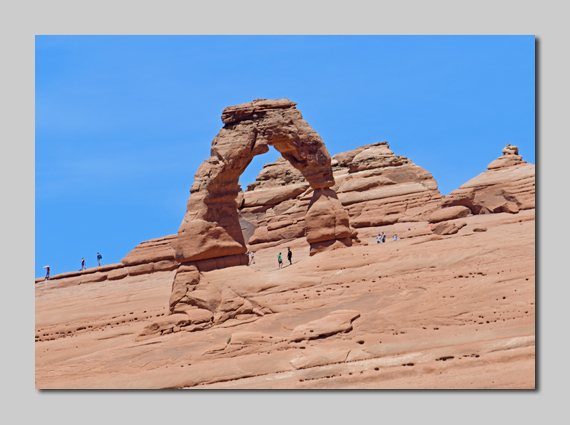 So if you've added Arches National Park to your bucket list make sure this is attached ….Hwy US128 Moab – Interstate 70! 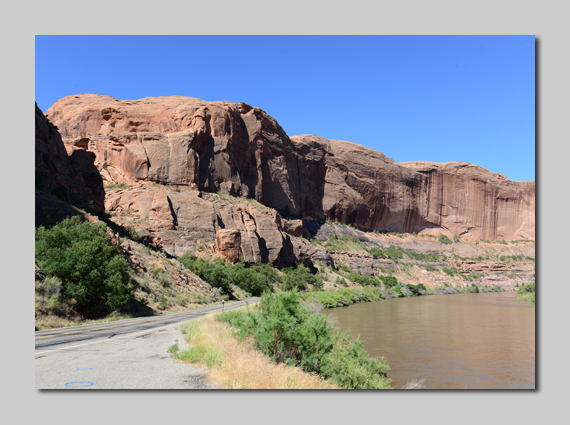 We then drove East along IS 70 toward a campground we'd booked at the KOA Silt / Colorado River. This is a new KOA and very nice it is too, we had a deluxe site overlooking the river with the added bonus of a pair of Bald Eagles nesting in the vicinity and a dead tree opposite the campground being a favourite perching place for these iconic birds. First a swim in their new pool which was interrupted by some thunder and flashes of lightning! We had a super pagoda to sit under in the stifling heat and were treated to great views of White-tailed Deer, Double-crested Cormorants, Great-blue Herons, Peregrine Falcon and of course the Bald Eagles. I was out at 6 am hoping to get a good shot of the Bald Eagles and as I looked through the curtains of our motorhome I saw that one was perched out on a dead branch on the opposite side of the river. 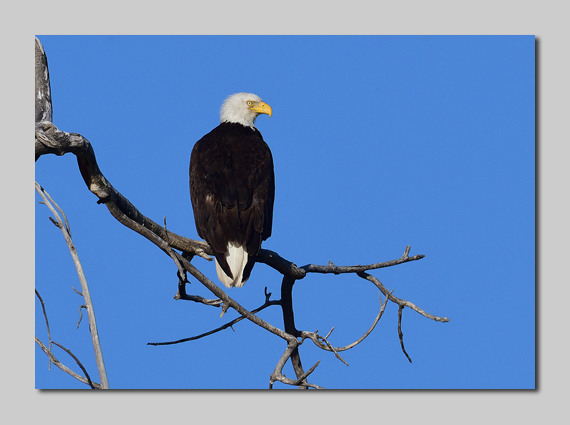 Moments later and I was dressed and camera in hand and… the eagle was gone! In its place was a small falcon which I now know to be an American Kestrel so not all lost! Had our breakfast and peering out of the window I noticed the eagle come back to the tree. Quick as a flash I had it in the can! Cracking bird in great light. We left Silt at 07:30 as I needed to get to the next site for an appointment and drove east of IS70 to the next KOA at Central City Denver West. The road cuts right through the high mountains of the Rockies and we passed all the skiing areas such as Aspen, Vail & Breckenridge and cut through Vail Pass at 10,666 feet followed by the Eisenhower tunnel at 11,158 ft and a length of 1.697 mi (2.73 km) eastbound. We arrived at the KOA which is at 8510 feet and I can certainly feel it as my mouth is always dry and I'm out of breath quickly. Had some great views of a pair of Black-chinned Hummingbirds and got a few nice shots of the male bird. 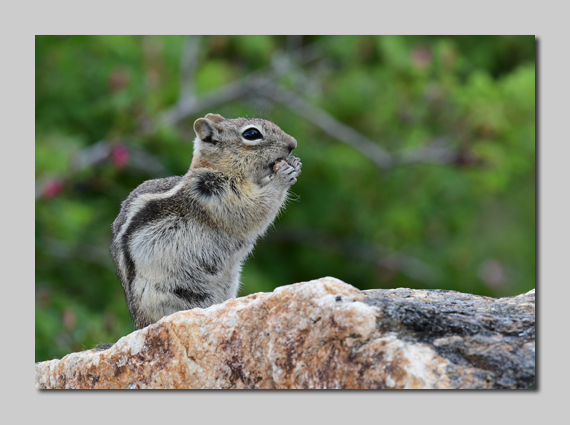 Also had a Yellow-rumped Warbler (Audubon's warbler), a Dark-eyed Junco and several Golden-mantled Ground Squirrels. Last of the steak for tea and have now checked in online for our flights back to London Heathrow tomorrow evening. We left the Central City KOA and made a major boo-boo! Suddenly realised that the route into Denver that I was following on my sat-nav was taking us a different way to which we'd arrived. By the time I realised I'd gone past the point of no return and was quickly descending down the mountain on a made-up gravel forest road with unbelievable drops on one side and nowhere to turn around. I put the camper into 2nd gear on the Automatic drive and just hoped we didn't meet anything. 45 minutes later and minus a lot of sweat we bottomed out in the valley and managed to find our way back onto the interstate heading East into Denver. It'll teach me to get my sat-nav updated as it must be over 10 years old and in that time a lot of new roads have been built. But it all ended well and we made it back to the Cruise America depot in Federal Heights and checked the van back in and got our deposit back. A 40 mile sedan ride back to the International airport and a few hours to wait before an overnight flight back to London Heathrow. We landed back in London at lunchtime after a good flight home... no upgrade this time... had to slum it in Economy class as usual! Booked into the the Crowne Plaza Hotel at Heathrow where we'd left the car and had a good sleep before a nice evening meal. We like to do this rather than try to drive back home to Cornwall after an overnight Transatlantic flight because we know that a few miles down the road tiredness kicks in and despite us both driving it becomes dangerous trying to drive and stay awake. A full English breakfast and suitably refreshed,a four and a half hour drive back home to sunny Cornwall.